It was in late 1991 while on a life-changing trip to Israel that I found a rock on the shore of the Sea of Galilee that looked a lot like the Christian fish symbol. The next day a pair of fellow travelers turned us on to many of their favorite artists in the Jesus Rock movement - and the rest as they say - is history. We hope this track strikes a chord with you. Please consider picking up an MP3 as that will help us record many more songs in the future - thanks! 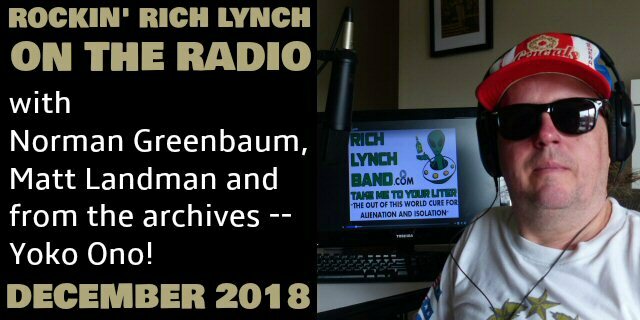 Rockin' Rich Lynch really needs you. Every time a fan buys an MP3 it's like throwing a tip in a jar. If you like this track and want to hear more similar type produced in Nashville then please BUY A SONG - your support keeps us going!